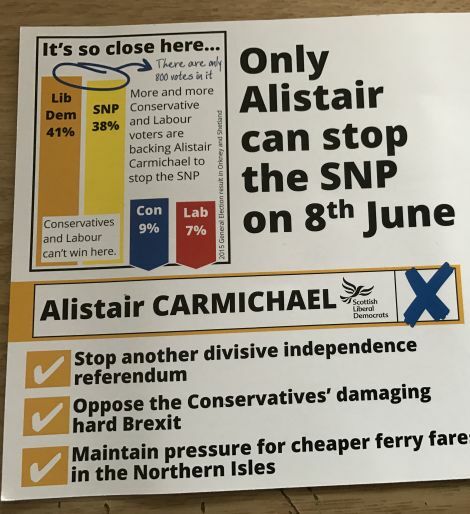 OPPOSITION to a second referendum on Scottish independence has been a bigger issue than concern about Brexit on doorsteps in Shetland and Orkney, according to Liberal Democrat MP Alistair Carmichael. 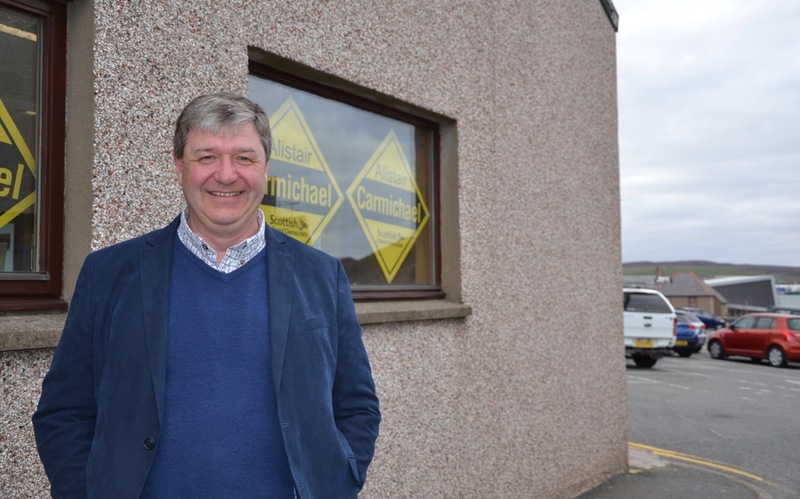 Carmichael, who is defending an 817-vote majority in a seat he has held since 2001, said he expected a “close contest” with SNP candidate Miriam Brett and said it was “one that I am fighting hard to win”. Liberal Democrat leaflets are focusing heavily on stopping “another divisive independence referendum”, along with opposing a damaging “hard Brexit” and keeping up the pressure for cheaper ferry fares in the Northern Isles. SNP politicians, including Brett, are focusing their campaign on opposing Conservative-imposed austerity measures at Westminster and challenging the UK Government’s approach to leaving the EU. 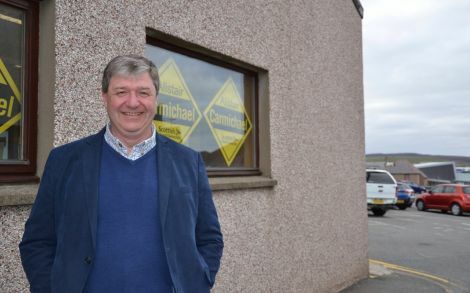 But speaking from his Lerwick campaign office in what used to be the Robinson and Peterson electrical shop, next to the Great Wall restaurant, Carmichael said he expected the prospect of another referendum to feature heavily. “Knocking doors, the issue that comes up time and again is not Brexit, it is the possibility of a second independence referendum, and for the SNP that’s an enormous negative,” he tells Shetland News. Brett has pledged to run a positive campaign and won’t seek to make capital out of the government memo leak Carmichael became embroiled in two years ago. Instead she has vowed to hold him to account for the five years his party spent in partnership with the Tories. Carmichael says: “I think a healthy, vigorous debate – one which doesn’t get overly personalised – is good for politics. I’m happy to be held to account, that’s what politics is all about. “People will see the things we held the Conservatives back from doing, things like for example the cuts in tax credits. The Conservatives on their own would have gone much faster, much deeper, and with none of the protections for the poor and vulnerable that we insisted were put in place. “You can now see that because they’ve done it – that great line from David Cameron that he would govern like a true Conservative but for the Liberal Democrats has now been seen to be absolutely true. “There was an absolute necessity to get the public finances back in order. When your deficit is running in excess of 12 per cent of your GDP, you know that you’ve got an unsustainable situation, and you can’t just wish that away. He points out that the SNP has been in government north of the border for a decade, and he sees numerous areas where the party’s actions “have not helped tackle the problems of poverty and inequality”. Carmichael highlights changes to the board of Highlands and Islands Enterprise (HIE) as a “classic” example of an SNP belief in one-size-fits-all solutions throughout Scotland. He points to the creation of emergency call centres and a single police force as other examples of ”a centralising instinct that seems to be within the nationalist DNA and which have left us with a poorer quality of service”. If elected, Brett has pledged to work with party colleagues to ensure the promised fare cuts and funding boost for inter-island ferries are delivered. 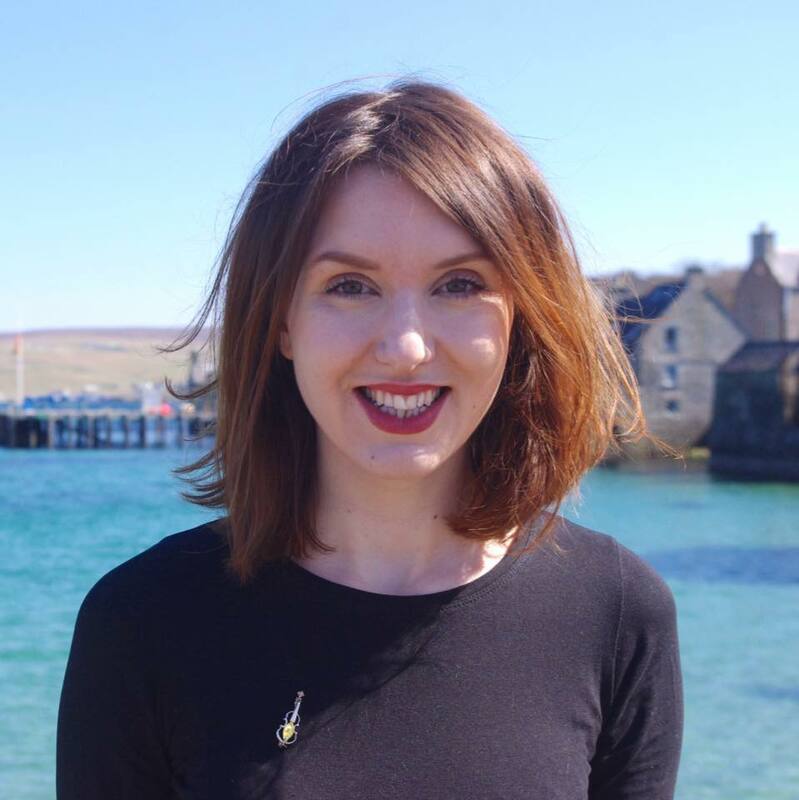 But Carmichael puts the failure to address those twin travel issues for a decade down to a “lack of political attention” that leaves Shetlanders and Orcadians feeling a “continuing injustice” when other parts of Scotland have already benefited from improved deals. He refers back to Tavish Scott’s introduction of the Air Discount Scheme (ADS) as Scottish transport minister in 2006. The Liberal Democrats and the SNP have both strongly opposed Brexit and the government’s handling of the issue since last year’s 52-48 referendum to leave the EU. With many fishermen eager to get out in order to escape the clutches of the hated Common Fisheries Policy (CFP), does he fear losing those votes, perhaps to the Conservative candidate Jamie Halcro-Johnston, or UKIP’s Robert Smith? “I think the issues surrounding fishing are more nuanced than the wider Brexit debate,” he responds. “People have always known my views and the views of my party when it came to the EU. He wants to see all parties undertake not to “trade off our fishing rights for other areas of policy” during Brexit negotiations so the industry can be assured that “they would not be regarded, as they were by the [Edward] Heath government in the 1970s, as being expendable”. Carmichael also notes reluctance among some within the SNP to commit to re-entering the EU as an independent Scotland “because something in the region of a third of those, we believe, who voted for independence also voted to leave the EU”. While he is keen to see power “pushed as far down to the community as possible”, that certainly doesn’t extend to supporting the aspirations of full-blown independence harboured by the likes of Stuart Hill and Wir Shetland. 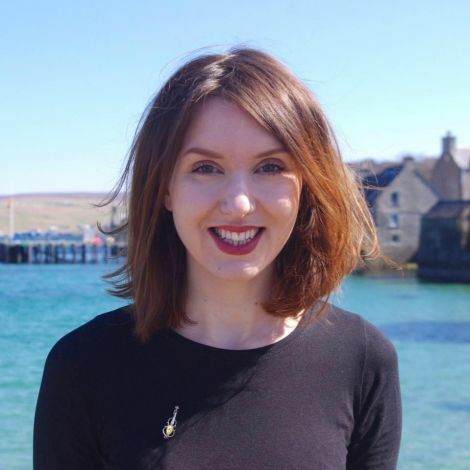 This will be the first contest Carmichael has faced where there are female candidates – Labour’s Robina Barton joining Brett on the ballot paper as the first women to stand for the Northern Isles seat in 20 years.